Brand New range to add to our great collection of pens. 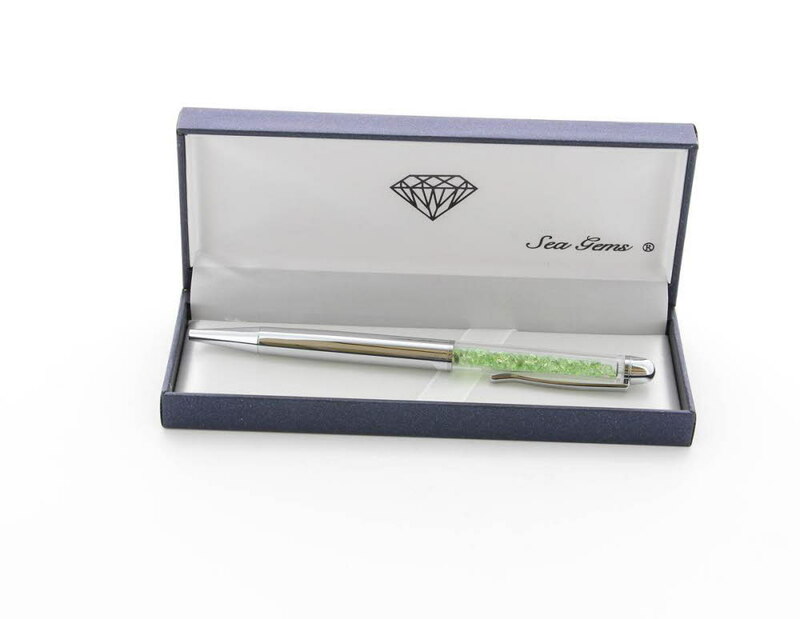 Engraved Silver Pen with Green Sea Gems. A beautiful range by Sea Gems. Each ballpoint pen comes in it's own deluxe gift box. 5 beautiful colours of Sea Gems to choose from. Each pen has it's own listing depending on the colour of gems.